Miami May Charter Fishing Report is all about the Sailfish and the Sharks. May is a great month to target and catch Sailfish. We catch many of our Sailfish while live bait fishing. Either using a fishing Kite or just slow trolling live baits in the out riggers. Live baits of choice are small live Bonitas (flips or bullets), Thread Herring, Google Eye’s, Blue Runners and more. We have also caught quite a few Sailfish this season while Trolling. We use fresh cut Bonita Strips in conjunction with skirts and lures. Islander lures have also been very successful. We are finding most of our sailfish on the western edge of the Gulf Stream. The water depth is any where from about 100′ of water to about 300′ foot of water. 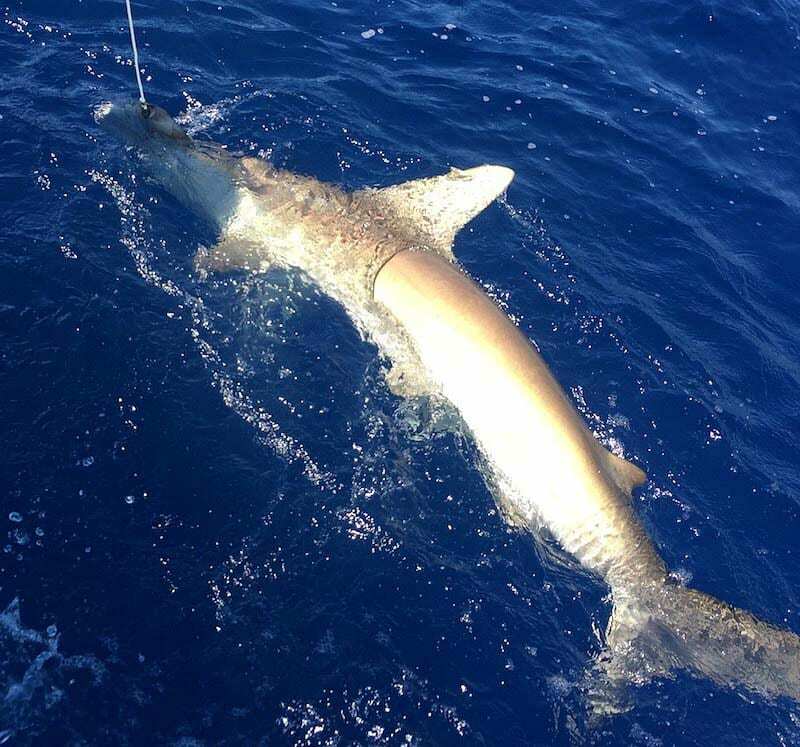 May is a great month for shark fishing off Miami and Miami Beach. 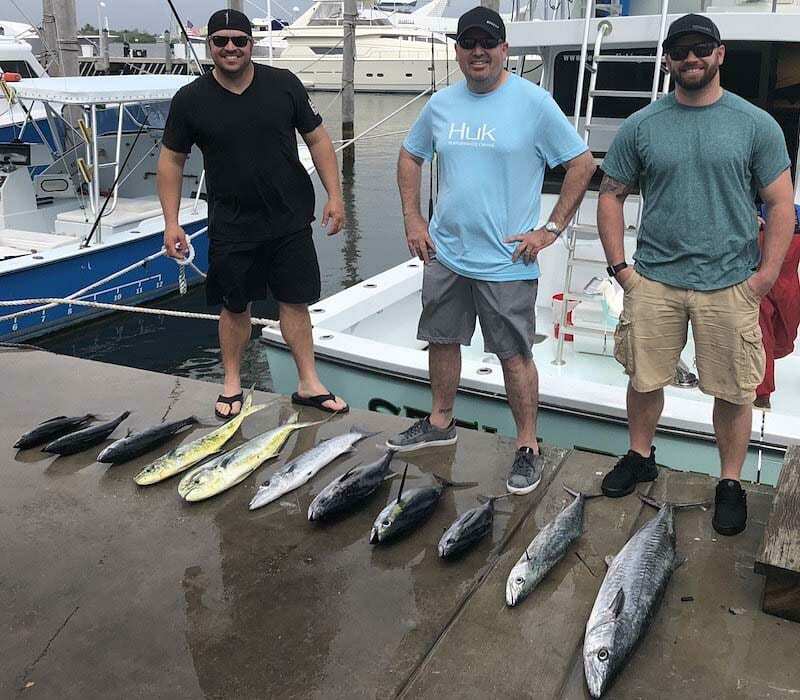 We are catching quite a few King Fish and Tunny. When these game fish show up in our area the Big Sharks are right behind them. We target the big sharks by power drifting using whole Tuna and King fish for bait. We typically place baits in three locations depending on the conditions of the day. Including wind, current, sea state, water depth and many other variables. We put a bait on or near the bottom, in the mid water and right on the surface. The rig that we use is a single 20/0 circle hook. That is the largest circle hook that Mustad makes. The leader is a combination of either 300 lb to 1,000 pound monofilament and or a trace of cable or heavy single strand piano wire. 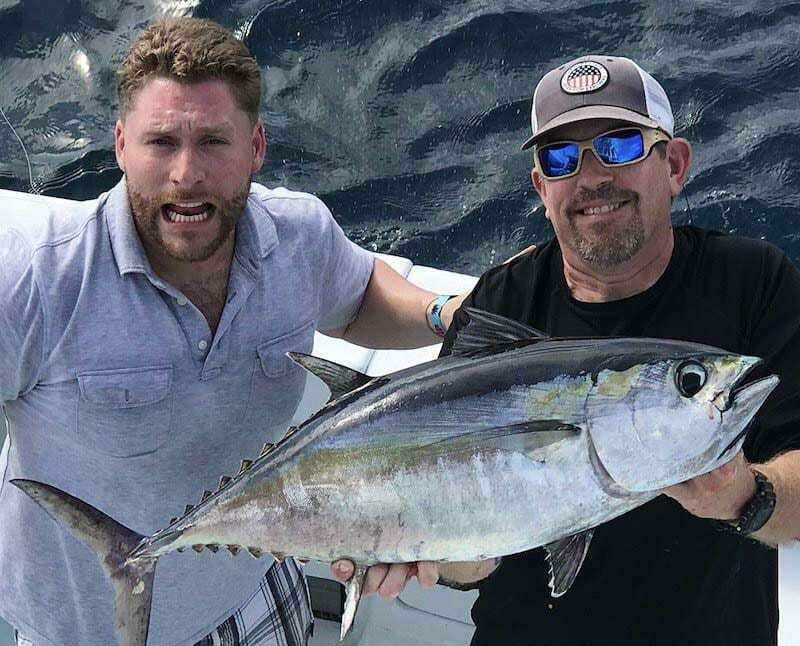 May is a great time to target some of the largest Blackfin Tuna and kingfish of the spring season. We target both species either live bait fishing in the Kite or the riggers. We also catch these great game fish while trolling the deep side of the reef and western edge of the Gulf Stream. We also see some great Mahi Mahi action this time of year. We also see some Wahoo and the occasional Marlin while trolling this time of year.